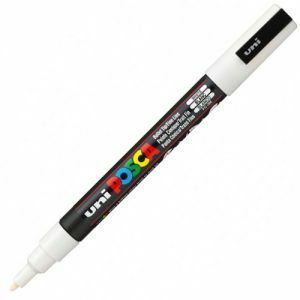 Uniball POSCA Markers – vivid paint marking for a huge range of uses. POSCA paint pens provide vibrant colours for illustrations and hobbies. 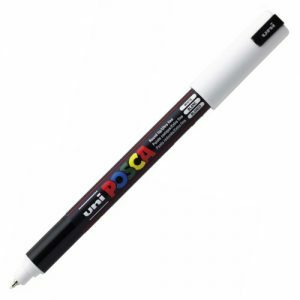 Water-based pigment ink is lightfast and water-resistant and writes on virtually any surface – yet does not bleed through paper. 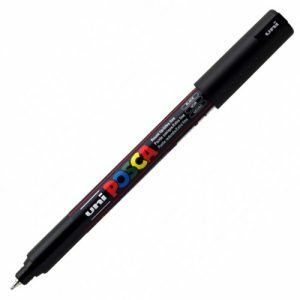 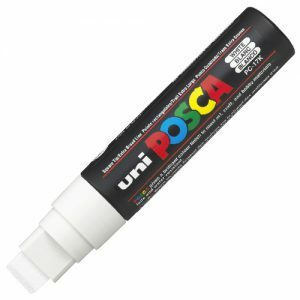 Uniball POSCA paint pens can be also used on glass, ceramic, plastic and of course chalkboards.